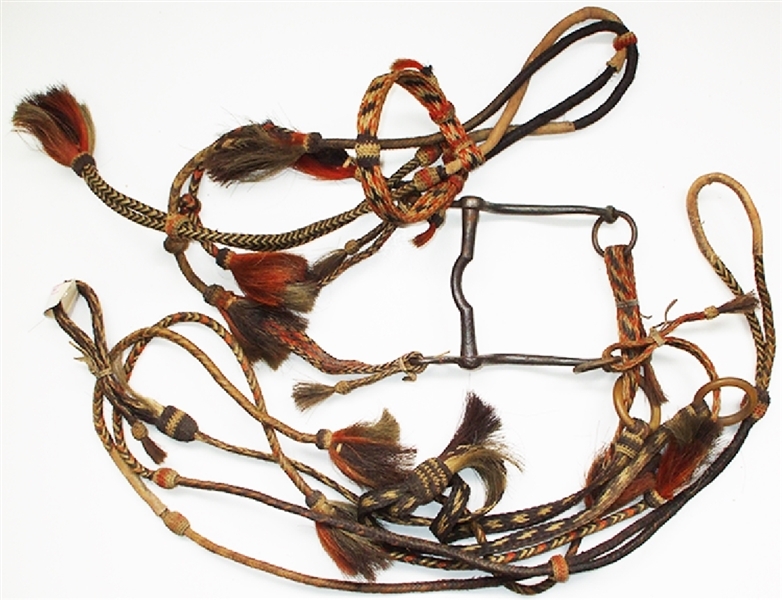 Hand braided consisting of four colors (reddish, brown, light brown and grey) and tightly geometric pattern braids. there are 10 decorative tassels and the metal bit and links remain. C1900. No provanance though often these bridles were prison made.